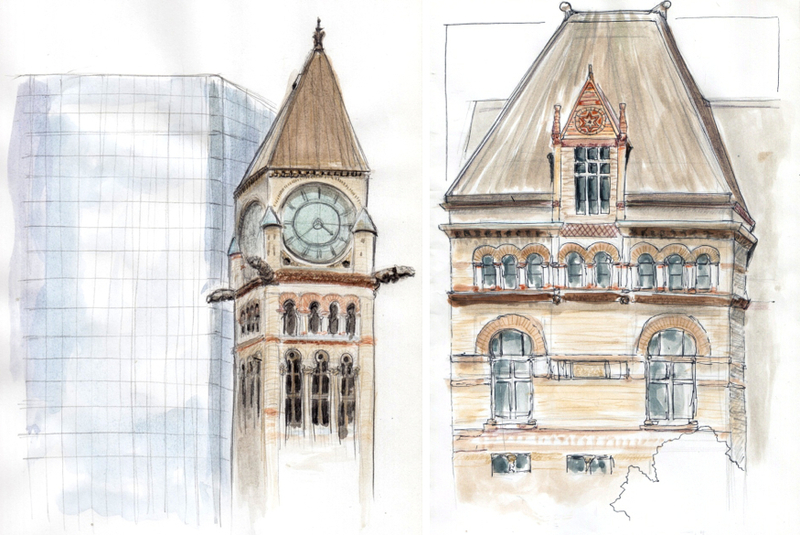 Last weekend, we headed over to Nathan Phillips Square, an urban plaza in the city nestled between the new city hall and the old city hall, to sketch the area. It's a great gathering place with tons of event going one and interesting details to sketch such as a reflecting pool and fountain, a stage, sculptures and a variety of architectural buildings and features. 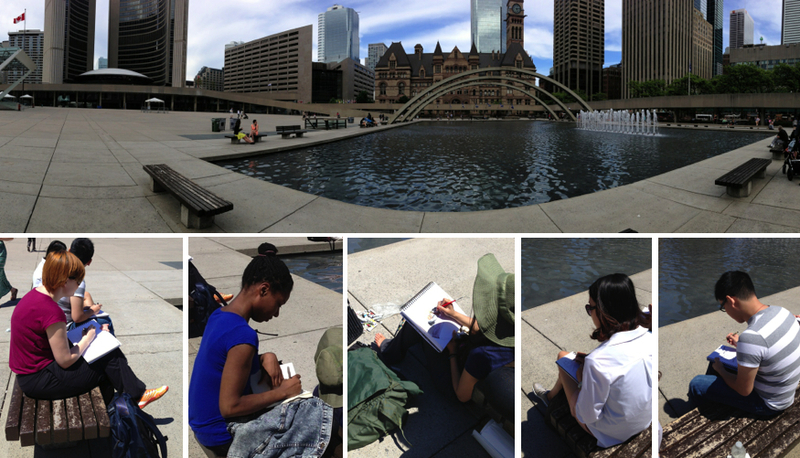 Fortunately this time we had a beautiful sunny day so we were able to stay all days sketching various interesting points of view. I mostly focused on the old city hall located across the street. Build in the late 1800's, its architecture is of the Richardsonian Romanesque style, full of intricate details. The more I looked at it, the more I discovered interesting details. No wonder it took 10 years to build! We had a great turnout and lots of great sketches from the participants as shown above. It's definitely a place I would go back to sketch again. Indeed. I'm always impressed with what others sketchers produce during our sessions. It's very inspiring.